I wasn't planning to post a Hump Day Distraction today but through the lovely coincidences that make up our online world, I came across a terrific blog this morning. 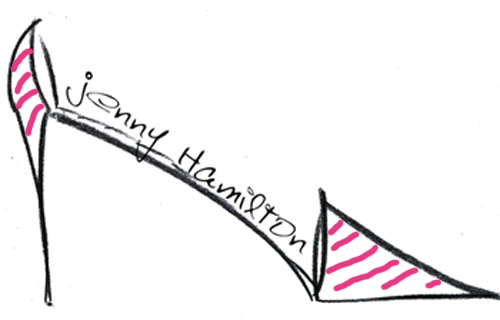 Jenny Hamilton Style is written by a lawyer-mom-fashionista. She shares style tips, product tips etc. My favorite thing is that she's the model, so you see the styles on a real human as opposed to this freak of nature. As you know, I'm 3 months post baby, and while I'm proud of myself for getting back on the treadmill etc, I'm a real human and seeing all those celeb post baby just pisses me off. I'd rather get real advice from real people. Anyway, I've added her to my blogroll and suggest you check her out. Its also a great way to inspire a spring closet clean if you're up for it!